Global FX glitter gel is a superior product, aimed at professional face & body painters. It presents the qualities of a specialised product that a makeup artist would desire and it makes use of the same type of cosmetic grade polyester glitter used with stencils, another proficient, alcohol-free gel, which enables artists to create astonishing detail and draw fine lines. Both these products are ideal for highlights and designs around the body. Glitter FX helps artists create tribal and henna designs as well. Also, they offer an intensively pigmented coverage that will not damage the skin in any way. With a bit of imagination and talent you can produce almost any type of design you want; for this reason, the product is used by famous BodyArt instructors at various workshops worldwide. Likewise, the Global FX products have been used for the creation of numerous award-winning designs obtaining outstanding results. Global FX is a special gel that comprises of a unique combination of cosmetic glitter and FD&C colours, and it features no drying agents. It has an incredible look on the skin. It does not get clogged due to our advanced formula. It is available in a 36 ml pen style bottle. Additionally, Global FX has numerous uses, from creating false Henna BodyArt which is a practice ideal for both children and adults who want to get a tattoo. Similarly, you can create gorgeous Bindi designs with this product, and all you need to do is apply teardrops and dots above the eyebrows. By far the most widespread use of the Global FX is to give a special look to face and body painting, and accentuate the designs. It will provide your creations with a unique, amazing aspect, which will stand out instantly and everyone will love them. The small dots appear to be real crystals popping out in a very fancy way! 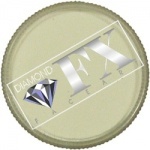 Global FX is available in a 36 ml bottle with a special applicator. It is extremely easy to apply Global FX on the skin, and due to the fine-tipped applicator, you will be able to create flawless lines and impressive shadow effects. Just squeeze the tube and the glitter will flow from the nozzle. Click here for a material safety data sheet for Global Glitter FX.